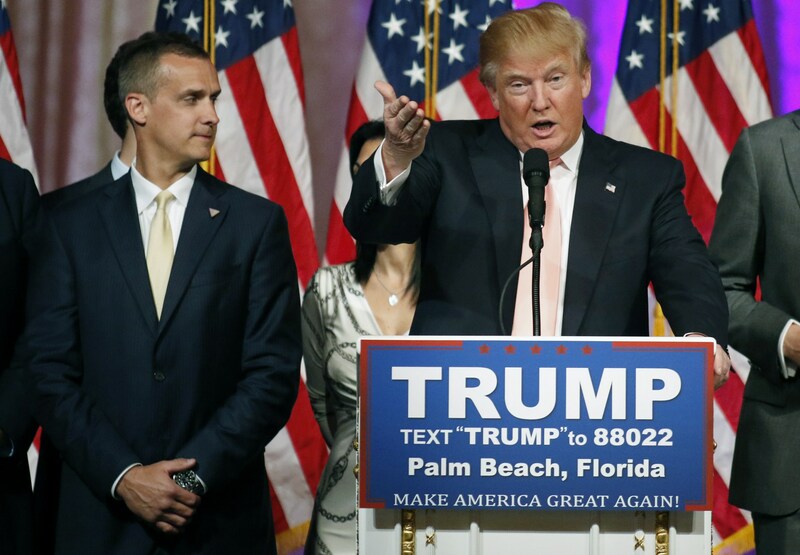 NEW YORK -- CNN snapped up former Donald Trump campaign manager Corey Lewandowski to work as a political commentator on Thursday, only three days after the political operative was fired. "CBS This Morning" co-host Norah O'Donnell asked Trump during an interview on Tuesday how influential his children were in the decision to fire Lewandowski. "Well, my children are very smart and they're not much involved in the campaign. ... But I do rely on them from the standpoint of I like to listen to intelligent people, and they're very intelligent," Trump said. "Corey's done a great job. You know, I am a big fan of Corey. I like him a lot. He likes me a lot. ... But, you know, we are going into a different phase and I have a very good team of people. And I think we're gonna do very well, and I think the early polls are showing that we're gonna do very well." "But was part of that your children saying, 'Look, we need to gear up. This is a national election. We've got a lot of battleground states. We need to be raising more money,'" O'Donnell asked. "No, it really wasn't. I'd tell you if it was. It's no big deal." Trump said. "I mean, there's nothing wrong if they did say that. I mean, I read where my children didn't like Corey. They like him very much. I mean they ... felt bad. Two of 'em really felt badly about it, because they didn't want that. They like Corey." The campaign manager's former boss tweeted two disparaging messages about CNN on Thursday, posting Breitbart News articles critical of the network. "The Clinton News Network is losing all credibility," Trump tweeted. "I'm not watching it much anymore." Lewandowski's hiring by CNN was first reported by Politico.